The DIA Group maintains its commitment to the environment, which it articulates through an environmental policy revised and approved in 2016 by the Board of Directors, for the purpose of adapting it to the new regulatory and Good Governance requirements of the National Securities Market Commission (CNMV), integrating criteria of efficiency and sustainability in each of its points. Once again, this year the company strengthened its commitment to the development of sustainable activity with an annual amount allocated to environmental investments of more than 6 million euros. Comply with the current environmental legislation, applicable in each of the countries in which the DIA Group is present. 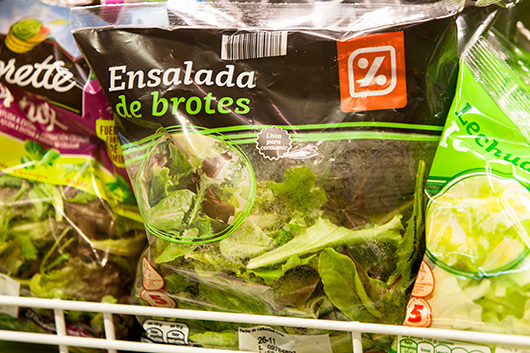 Apply sustainability and eco design criteria to the development of products and packaging. Manage the waste generated following the waste hierarchy model, prioritising prevention, and avoiding its elimination to the extent possible. Actively work to identify opportunities for improvement through development and implementation of procedures that permit environmental self-assessment. Encourage staff through training and awareness-raising. During 2016, the DIA Group completed the definition of work procedures and instructions that contribute to its Environmental Management System, standardising aspects such as the supervision of regulatory requirements, waste management, reporting of indicators, waste management, supervision of emissions, calculation of the carbon footprint, and the environmental diagnosis of facilities and activities. 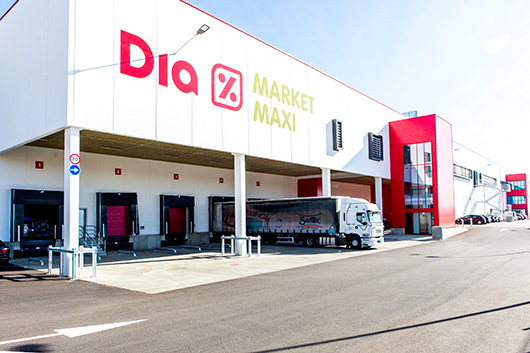 In order to supervise that the facilities and activities of the DIA Group are managed in accordance with both legal requirements and internal regulations, the environmental department periodically audits the performance of offices, warehouses and stores in regard to waste management, control of emissions and waste, and consumption of resources. Having an appropriate degree of supervision of the environmental performance of the facilities and activities allows DIA to identify the areas it needs to focus on in order to achieve continuous improvement in environmental matters. With this aim, since its flotation on the Stock Exchange, DIA has been working on the identification of relevant environmental aspects for the company and for its stakeholders, establishing a series of indicators that enables supervision of the evolution of these aspects. The DIA Group has defined the information collection procedure and has an IT tool for reporting these indicators as part of the Sustainability Report. Year after year, DIA works to improve the quality and traceability of the information reported. In 2016, the company submitted part of the 2015 Sustainable Development Report for external verification. Year after year, the DIA Group’s commitment to the reduction of the carbon footprint remains unchanged and, for that reason, it has been working on various projects focusing on the reduction of emissions that it articulates through a proprietary tool that enables the calculation of the footprint at all of its facilities. During 2016, it implemented this system in all the countries in which the company is present. This widespread implementation of the measuring tool made it possible during last year to publicly disclose information on the figures for greenhouse gas emissions, in response to the internationally recognised Carbon Disclosure Project- Climate Change survey. In 2015, the responses to this survey allowed DIA to be distinguished by the organisation for obtaining the highest rating of all the companies newly included in the index. The measuring system has been changed in 2016, with the maximum rating corresponding to the letter A and the minimum to D-. In only two years, the DIA Group has already achieved an A- rating, just one small step away from a limited group of large companies that already have the highest rating, and ahead of other companies in the same sector. The company has a standardised environmental management system in all the countries that allows it to act along the same work lines, taking into account the specific characteristics of each market. The standardised procedures make it possible to swiftly and efficiently undertake the necessary initiatives to improve the functioning of the entire value chain. The DIA Group has an environmental regulation register and of breaches that could arise in all countries that allows for quick action in the event of any incident. During 2016, there were no significant fines for failure to comply with environmental legislation. Bulletins are received periodically with legislative developments for application and in the event they are applicable to DIA’s activity, a copy is stored on the internal network for subsequent analysis and study.